PHENOMEN is at the intersection of photonics, radio-frequency (RF) signal processing and phononics. The long-term vision of PHENOMEN is to lay the foundations of a new information technology based on the manipulation of phonons and their coupling to photons and RF electronics. 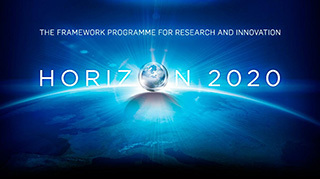 The H2020 FET-Open call aims to support the early stages of joint science and technology research for radically new technologies. A photon is an elementary particle, the quantum of all forms of electromagnetic radiation including light. The modern concept of the photon was developed gradually by Albert Einstein in the early 20th century, exhibiting properties of both waves and particles. A phonon is a quantum mechanical description of an elementary vibrational motion in which a lattice of atoms or molecules uniformly oscillates at a single frequency. As photons, phonons have particle-like properties too. They became an important part of condensed matter physics since the concept of phonons was introduced in 1932 by Soviet physicist Igor Tamm. It is any of the electromagnetic wave frequencies that lie in the range extending from around 3 kHz to 300 GHz, which include those frequencies used for communications or radar signals. Cavity optomechanics is a branch of physics which focuses on the interaction between light and mechanical objects on low-energy scales. It is a cross field of optics, quantum optics, solid-state physics and materials science. The motivation for research on cavity optomechanics comes from fundamental effects of quantum theory and gravity, as well as technological applications. PHENOMEN was conceived to build the first practical optically-driven phonon sources and detectors. The experimental implementation of phonons as an information carrier in a chip is completely novel and of a clear foundational character. Only time can tell what lies ahead.